At this time of year I procrastinate when it comes to putting the bikes away, hoping against hope for that one last, glorious, sunny day when I can go for a short, even if it’s chilly, ride. Usually it works out, but not this year. Riding season is done. And that explains why the Harley was sitting, idling, on the snow-covered driveway yesterday, warming up the oil in advance of its pre-winter oil change. Which is a messy affair at the best of times, not helped by melting snow off tires and boots mixing with the inevitable oil spills that somehow manage to always get past the drain pan. But now it’s done and she’s ready for a long winter’s nap. I’d also like to think I’ll be smarter next year, but I know I won’t. This book had been on my must-read list for a while and with Russia commanding the news cycles these days it seemed like an opportune time to pick it up. Red Notice is the true story of Bill Browder, an American financier operating in Russia in the late 1990s and early 2000s. He is the founder and CEO of Hermitage Capital Management and was the largest foreign investor in Russia until highly placed and influential members of the Russian government decided to loot his companies for personal gain and to drive Hermitage Capital out of the country, and out of business. He escaped Russia with his family, but as he fought back against the state-sponsored corruption, colleagues still in Russia were harassed, intimidated, and sometimes jailed. His friend and lawyer, Sergei Magnitsky, was jailed, tortured, and beaten to death by the authorities because he wouldn’t lie to wrongly indict Browder and his company in the thefts. This one event, more than any other, triggered Browder’s relentless crusade against the Putin regime, eventually resulting in the US Magnitsky Act which denies visas to, and targets the finances of, named Russians involved in Magnitsky’s incarceration and brutal death. Variations of that law have also been passed in Canada, the UK, and elsewhere. Vladimir Putin and his partners in crime are not pleased, but then that was the intent. This is a true-life thriller that reads like fiction. It gives the reader a fascinating and frightening glimpse into what it’s like to do business (or politics) in today’s ‘modern’ Russia. Which makes one wonder why Western businesses continue to do so. But then, as in Browder’s heyday, there are billions of dollars to be made – it’s all relative. Scott Kelly is a retired US Navy Captain and a retired astronaut. He has completed 4 trips into space, including a year-long mission aboard the ISS in 2015. 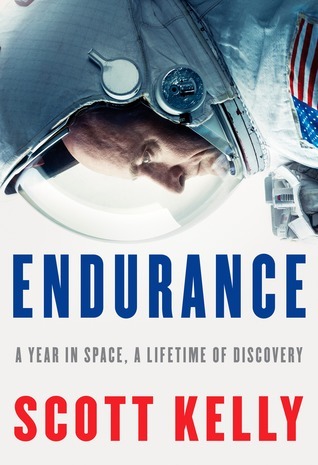 He has recently published his memoire, Endurance, which talks, in part, about those missions and the impacts his experiences, shared by so very few others on this little blue planet, have had on his life. I haven’t read his book yet but it’s on my list. Scott Kelly was recently interviewed by the CBC’s Anna-Marie Tremonti on her show, The Current. (You can listen to the entire 20-minute podcast here.) The interview was very interesting but it was right at the end when a question about any political ambitions he might have started me thinking. If he’s correct – and the current political climate would seem to indicate he is – what it means is that if you are a highly accomplished professional with the kinds of extensive skills and experiences we say we want (and so desperately need) in our leaders you will likely never get elected. Your contributions to society over decades of service will count for naught with party brass. Your informed, moderating voice will never be heard. Your ability to see the gray in every situation will never be there to counter the black and white of the extremists. And the people who think like you, who are decent, common folk with no particular axe to grind will never have your voice speaking for them and working for them. While the US is clearly a leader in this particular dysfunction we have numerous Canadian politicians who also view the world through that same “us or them” lens, all the while bemoaning the fact that political participation, particularly among young people, is at an all time low and sinking like a stone. And I'm afraid we are only a few election cycles behind our friends to the south before it becomes endemic to our political process as well. It really is a depressing state of affairs. We’ve had such a fabulous fall we got lulled into believing (with just a little bit of wishful thinking involved) that winter was still far, far off. Well, yesterday morning proved that wrong with a smattering of snow on the ground and temperatures of -10C (-25C with the wind chill). And today is even colder. So now I’m looking at next week when temperatures may reach the lofty heights of 4C or 5C to take the bikes for a short warm-up run in preparation for their fall oil changes. Meantime I’m getting everything else ready to go. The tractor has been serviced and tire chains installed. The big snow blower is checked, lubed and ready to hook on and go. An old walk-behind snow blower that was recently given to me (gotta love great neighbours) has been tuned up and is waiting anxiously to prove its mettle with the first big blow. The last of the garden ornaments have been tucked away, along with various and sundry pots, deck chairs, and all the other ‘stuff’ that gets dragged out each spring at the first sign of nice weather. The vegetable gardens have been turned over and next year’s garlic crop is in the ground, ready for the big chill. The wood shed is full and snow tires installed. Now all that’s left (other than the oil changes) is to clean the shop/garage of all the summer clutter so that this winter’s projects can begin in earnest. Let it snow – I’ll be warm and busy. According to the this news item an Ontario legislator has tabled a bill, dubbed the “zombie law”, that would make crossing the street while looking at your cell phone illegal, with scofflaws being fined $50 and up depending on the number of times they have been caught in flagrant disregard of yet another Nanny-state incursion into the realm of legislating stupid. This province is certainly not alone in this regard but few jurisdictions seem to have the same degree of enthusiasm for protecting us from ourselves as Ontario does. Liquor laws are still firmly set in the immediate post-prohibition years where it was felt the population could not possibly control their thirst (pun intended) for the demon rum. Several years ago an attempt was made to limit motorcycle passengers to 14 years of age and older for “safety” reasons. (Blogged about here. Fortunately the bill did not become law but it was a close thing. ) Periodically legislation is floated (so far only as a trial balloon) that would see already legally-required helmeted bicyclists subject to training, testing, licensing, and insurance, again for “safety” reasons. And recently an intoxicated canoeist was charged with “impaired driving” which is a criminal offense and which could result in the loss of driving privileges if he was found guilty. The one thing these laws, and countless others just like them, have in common is that they are all attempts to stop a few idiots from doing stupid things. Except that the broad legislative brush treats everyone the same as the idiots, whether they are guilty or not. In other words, let Darwin do his work unencumbered while making sure the taxpayer isn’t on the hook. Much cleaner, and we improve the gene pool as well. There’s probably a famous quote by some renowned philosopher on the subject of how one small action can have a ripple effect far beyond expectations. I think I once read something about the unintended consequences of a butterfly flapping its wings in Tokyo – or maybe that was Godzilla. But, whatever, I couldn’t find it so you’re stuck with “One thing leads to another”. Just imagine someone famous said it. Or something like it. As my loyal followers know, a little over a year ago I acquired, for the princely sum of a bottle of great Canadian whisky (Crown Royal’s Northern Harvest – if you haven’t tried it, treat yourself. You’ll be happy you did.) a 1981 Kawasaki 440LTD. It had issues but since then I have sorted out the carburation problems and got it running, fixed the safety items like tires and fork seals, and it is now licensed and on the road. However there are still a few things I want to do to it cosmetically, including fixing the tank. There’s really nothing wrong with the tank except for a largish dent in the side and a few deep scratches in the paint. My plan was to repair it myself and paint it over the winter (kind of partial to Jade Green), drawing heavily on the expertise of a friend who’s past life includes years as an autobody technician and who passes his spare time these days hand sanding his 1969 Barracuda Notchback in preparation for a trip to the paint shop some day soon. I think he’s down to 1200 grit wet by now. Be that as it may, being the consummate professional I wanted to make sure I had a Plan B in place for when I screwed up the tank beyond salvage. So I started looking for a good used tank in all the usual places – eBay, Kijiji, Craig’s List. In the process I discovered there are lots of used tanks out there that already look like the anticipated outcome of my Plan A (in which case I could do that myself) and those that didn’t were outrageously expensive. Then I discovered, quite by accident, a fellow who had 2 – count ‘em – 2 good used tanks for sale at a very reasonable price and he was only a couple of hours’ drive away. And, best of all, the tanks came with the rest of the motorcycles still attached! So it was that yesterday found me on a 500-kilometre road trip to check them out. The bikes (and tanks) were as specified and generally in very good condition for being 35-plus years old. One is an ‘82 and the other is an ‘83 but most of the parts for those years are interchangeable so I would have many, many options that would result in two, if not three, serviceable motorcycles at the end of the day. And so, after a bit of negotiation and the requisite transfer of funds, they were duly loaded up and I was on my way home, having just tripled the size of my Kawasaki fleet. But now the garage is full so I really must stop checking out used bike sales for a while. There’s a local radio station here that plays a pretty eclectic mix of music, all wrapped around rural favourites such as radio bingo, how many people attended Mabel’s 90th birthday celebrations and from how far afield (“Mabel’s third cousin once removed on her mother’s side, Ernestine, travelled all the way from Pembroke (about 50 miles) to partake of the festivities…” ), the current price of hogs, and Elspeth’s recipe of the day (Grandma’s amazing meatloaf made from kitchen scraps). But what I like about the station is you never know what they are going to play next. It could be the Beatles’ Yellow Submarine or a yodel tune by Cindi Lauper. Yesterday I was pleasantly surprised to hear this blast from the past. Took me back a ways to the mid-70s when, I think it was probably our second or third date, I took the (now) missus to a house party hosted by one of my fellow motorcycle safety program trainers. A typical party of the time, there was lots of beer being consumed and the hippie lettuce was being passed around generously. The Rocky Horror Picture Show had just come out and when someone put this song on the stereo and all these strangers immediately leapt up and started doing the Time Warp, singing along at full throat, I think she began having some serious doubts about this particular group of people, me included. But we persevered and soon won her over to the dark side. Anyway, with that memory firmly in mind I was happily singing along, poorly, but with gusto, as I was driving into town. It was only later in the day I realised how lucky I was to not have been in Montreal where this guy just got a $149 ticket for singing in his car; Time Warp would be worth at least twice that. A while back I posted (here) about a hazardous road situation I was trying to get corrected. Well, it took some escalation, a few conversations, and several more emails but finally the county took corrective action, albeit in a sort of using-a-sledgehammer-to-kill-a-fly way. All I wanted was to have some signage erected to warn that the pavement ends and the road becomes gravel after the intersection. The intent was that would slow riders enough so that when they hit the gravel they would be able to do so under control. The county’s first effort was a dismal failure, but their second attempt will have the desired effect, even if it is, in my opinion, overkill. Hopefully pulling errant motorcyclists out of the ditch at this intersection will now be a thing of the past. And all I have to do is contend with all my rural neighbours who are now pissed at me because there’s yet another stop sign to deal with on their drive home. But they’re not likely to stop anyway, so I’m not too worried. After a summer that never really got established we’ve had a late season run of spectacular weather. 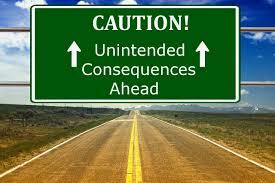 But we also know it won’t continue indefinitely. So when the tasks I needed to do today (winter prep the tractor) were done I took a long way ‘round ride into Arnprior for a few maintenance items and a Timmy’s coffee. As you can see from the map it wasn’t the most direct route, but 140 km of country road on a sunny warm day is never a bad thing. While I was out and about I came across this apparently abandoned house. I couldn’t get close as it was off the road a ways but it’s unfinished appearance got me thinking about shattered dreams. Why was it unfinished? Did someone die? Did a marriage break up? A bankruptcy? The possibilities are many and the speculation lends an aura of mystery to the building. But when I got home I looked more closely at the photo. There are some signs of activity around the place with a truck out back and curtains in some windows. The weeds growing on the roof look like they might be intentional, as in a sod roof. The edge of the roof looks like it consists of weathered boards to hold back soil and the heavy log rafters are there to support the weight. On closer inspection the walls seem to be plaster or perhaps concrete spread between vertical risers of some sort. Plus, the real giveaway, a truly abandoned building in these parts wouldn’t have a single window intact and graffiti would be scrawled on every flat surface. And another clue – Google’s satellite image (undated) of the area shows no building in that location. But if it has a grass roof would it look any different from the surrounding fields? I am saddened beyond words at the senseless violence that occurred in Las Vegas yesterday. The dead will feel pain no longer but their families and loved ones will have to bear the burden of this terrible crime for the rest of their lives. Likewise the wounded, their friends and families, the first responders, the medical staffs at dozens of hospitals, and other concert goers just out for a fun night of entertainment will all be dealing with the demons of Sunday night for years to come. And for this to happen in Las Vegas, “America’s playground”, where thousands of visitors were peacefully enjoying an outdoors concert, makes it even more troubling. People go there to have fun, not to be indiscriminately slaughtered by some madman with a grudge and a few thousand rounds of ammo. We may never know what set Stephen Paddock off on his murderous rampage, but one sad fact is that while he was possibly the most successful mass murderer in modern US history he has plenty of company. 9 out of every 10 days, somewhere in the US, there’s a mass shooting (defined as having 4 or more victims). That’s more than 1500 events in the past 5 years. There’s a saying that a doctor who treats himself has a fool for a patient, but in this case, for this particular sickness, only America can and must treat itself. And for all my friends and family members in the US I can only hope they finally recognize the cancer within and take the political actions necessary to start the recovery. We are currently enjoying one of the nicest stretches of weather since last summer (and I’m referring to 2016 here). It’s been a week of temperatures in the high 20s with no rain. Perfect weather for riding. Now that I have the little Kawasaki more or less sorted I’ve been casting about for my next project to keep me occupied over the winter and one of these for sale in the local Kijiji caught my eye, an ‘84 VT500 Interceptor. I admired them back in the day so I thought, “better late than never”. The bike for sale didn’t look this clean in the ad but it was supposedly complete and running, came with a spare donor cycle, and was price negotiable. So I decided to go have a look and combine that with a nice ride on a hot, sunny, September day. All was going well until Richmond where I ran smack into a parade that totally blocked my route. The oh-so-helpful police officer that was directing traffic gave me, another biker, and a lady in an SUV, instructions on how to get around the parade. Which put us in a working gravel pit. I guess he really didn’t know the town that well. After a few other false starts and u-turns on dead-end streets we all decided to just wait it out, which we did. After 15 minutes or so I was back on the road and soon at my destination. The owner was a young’ish lad who bought the bike with the intention of putting it on the road but became a bit overwhelmed with the amount of work it would take, to say nothing of the $$ required. He was right to be concerned. It doesn’t appear to need any major surgery but will require lots of TLC – certainly more than I’m willing to put in. And with the engine and 4 carbs all shoe-horned into an impossibly small space in the frame, they are notoriously tough to work on. So I think I'm going to pass on this one but will keep looking for something simpler. But then, while having a quick lunch at a nearby Tim Horton’s, one of these showed up. It has been a long time since I last saw a Water Buffalo (Suzuki GT 750) and this one was pristine. 39 years old and it looked like it came straight off the showroom floor. Not a scratch on it. The owner claims he bought it like this a few years back and all he did was clean it up. It’s all original – paint, exhaust, etc., everything but the tires. He didn’t want to sell it; said it was his favourite to ride. Bummer. After a pleasant parking lot chat it was back on the road again, taking a slightly longer route home. And four-and-a-half hours and 230 kilometres after heading out this morning I was having a refreshing swim in the lake to cap off a great day. … so simple that the bureaucrats can’t screw it up. This is a Google Maps satellite image of an intersection near our house. The through road, coming from the bottom and exiting top left, is posted at 80 kilometres per hour. At the red line, at the apex of a curve, the surface changes, without warning, from newly-paved to loose gravel. Two months ago the missus and I pulled a rider and his motorcycle out of the ditch on the far side of the intersection. He lost control when he hit the gravel at speed. He was a bit banged up – cuts and bruises – but otherwise okay. His bike was rideable after we bent a few things back into place. He was lucky and was able to ride home. Three weeks ago, two other riders collided in that same spot when they both went down after hitting the gravel unexpectedly. Both were injured, one seriously enough that he had to be medevaced by helicopter to an Ottawa hospital. After the first accident I contacted the township of Mississippi Mills, in which jurisdiction this intersection falls, suggesting that this, or a similar, sign be posted giving riders advance notice that the pavement is about to end. Their response? Mississippi Mills is only responsible for the road beginning where the gravel starts and so they couldn’t post such a sign because the location where the sign should go (marked by an “X” on the above photo) was on a county road. When the second accident happened I contacted the county – Lanark Highlands – to see about getting a pavement ends sign put up. I spoke to the Superintendent of Public Works who advised that they were aware of the situation and it would be remedied in a few days. Here’s their solution. At the spot marked with the “X” on the aerial photo they put up this sign. An astute observer will note that the diagram bears no resemblance whatsoever to the actual geometry of the curve; it’s a simple curve, not an “S” bend, and the intersecting road is off to the right, not the left. The 20 km/h is an advisory only, ignored by every road user in the province except big rig truckers with tippy loads. They also put a stop sign on the gravel road side of the intersection, which serves no useful purpose whatsoever as the problem occurs with riders transitioning from pavement to gravel at speed, not vice versa. But worse than all that, there is still no warning about a surface change, which is all I asked for in the first place. Unfortunately I seem to be making a practice of this. After no activity for a few months I am now making some progress on getting the little Kawasaki roadworthy, and one of the main jobs was to replace the tires. Now a previous owner had done just that, but it was 18 years ago. Although the tires looked brand new, the rubber was hard and the sidewalls cracked, so they had to go. So new tires on the floor and tire irons in hand I tackled the job. 4 hours later…..
Let’s just say it was a bear to break the beads. It was like the rubber had vulcanized right into the pores of the cast wheels. But finally, using a lot of creativity, a bottle jack, a few 2X4’s, and the tractor for weight, the old tires were off and the new were on. At the time I considered changing the valve stems but that would require another trip into the city and a couple more days’ delay. Besides, the old tires were holding air just fine so they were probably okay. Next day the front tire was flat. Yup, the valve stem was leaking, presumably after being disturbed during the tire change. So another trip into the city for a new stem, dismount the wheel, remove the tire, etc., etc. Never having heard of them before I was intrigued when I heard that they were making their North American debut here in Ottawa, and so we decided to head downtown today to see them in action. Of course, so did a few hundred thousand other people (it seemed), resulting in quite a crush as folks tried to jockey for position to see these creatures up close and get that perfect photo. One of our small group suggested that going up into a parking garage might give us a better vantage point and so we did. Fortunately for us it turned out that the machines – Kumo and Long Ma - would eventually come right past us. Good call Max! It was quite a spectacle, and a great way to enjoy one of the first really nice days we’ve had this year – on my birthday no less. Getting motivated … or not. Day after day we continue to be deluged with near-record rainfall. May was about 3 times normal accumulations, June came in at about double normal, and we’ve already had a normal July’s worth of rain and we’re just 1/3 of the way through the month. Golf has been rained out more often than not and riding hasn’t fared much better with only a few hundred kilometres put on the bike since I got it – about 4 fill-ups worth. Our garden is drowning and all I’ve done with the boat this year is bail it out – several times. And if one does decide to venture out of doors the fact that mosquitoes and black flies are breeding at a rate previously unheard of for this time of year will drive you back inside in short order. Depressing seems too mild a term. Instead there’s been a lot of indoors activity, including adding to my collection of ‘some day’ projects. As some may know I’ve started making cigar box guitars just for fun. Up until now they have been acoustic only because I didn’t have an amp. That changed Sunday when I picked up a gently used practice amp that will allow me to start putting pick-ups in my guitars and test them out. I have a few that now need to return to the workbench to be modified and they have been added to the projects list. I also scored a vintage Singer treadle machine base on Sunday. Not sure what I’ll do with it just yet (the most obvious solution is to make it into a table, but I have some other ideas as well). It’s intact but for the pitman arm which is missing and I’ll need to make a replacement for that. On this particular model the arm was made from wood so I should be able to create a reasonable approximation from some scrap oak or maple. That’s another project for another day. Now I just need to get motivated to “git ‘er done”, as the locals would say, and start finishing some of the dozens of other small projects I have underway.